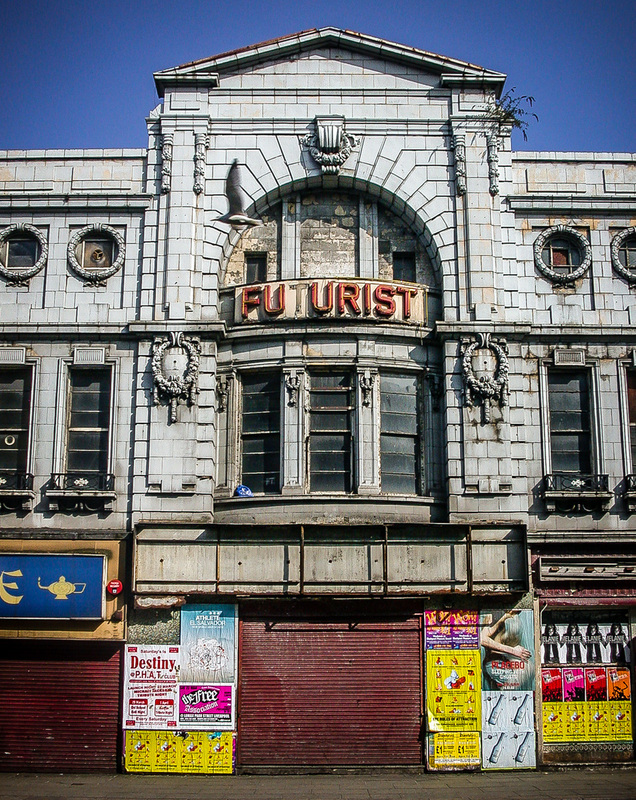 Futurist, Lime Street, Liverpool L1, 2003 and 2010 • Famous Liverpool cinema from 1912 that’s been decaying since it closed in 1982 and is now in danger of destruction. Shown here in 2003 wen Liverpool was still very run down, and in 2010 (bottom pic) when it was part of the Liverpool Biennale art festival, with different lettering. Despite opposition plans to demolish it for yet more student flats are far advanced. 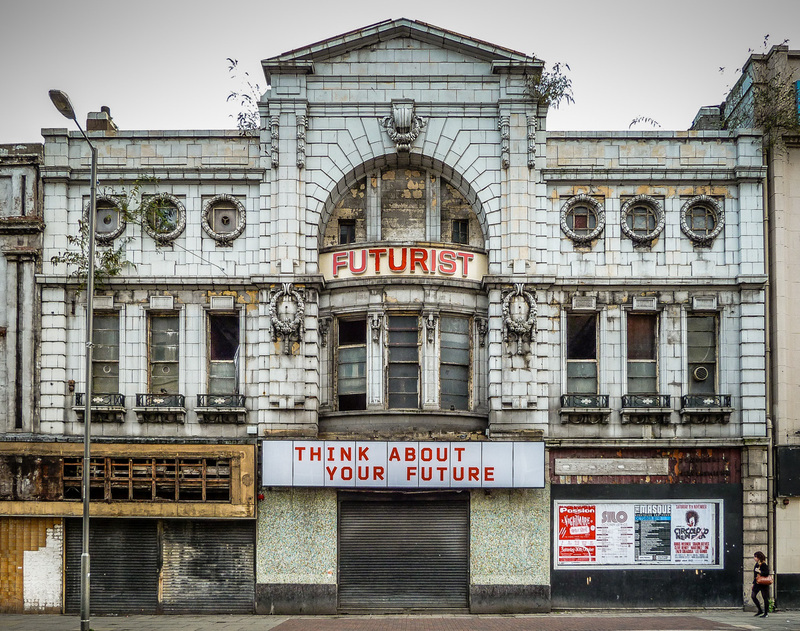 The Futurist is on Wikipedia here and has a blog dedicated to saving it here. See also White Star Cafe for how little Liverpool council values its built heritage. 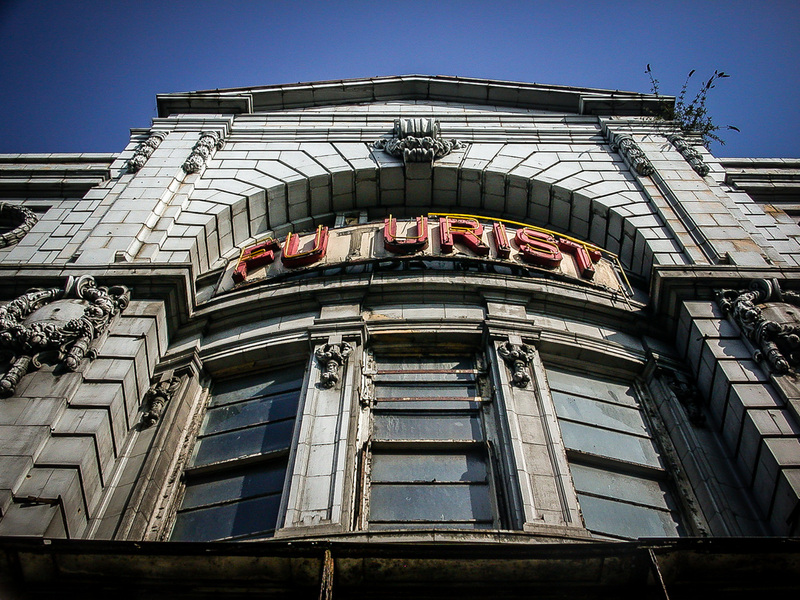 The redevelopment plans are now fully approved and, unfortunately, it looks like demolition of The Futurist could start within weeks. I am so sorry (and shocked) to hear that. What a sad day for Liverpool that will be. Sadly, the facade was destroyed by the city council a couple of weeks ago.